Well, in reality, there are really 18 awesome reasons for beer lovers to tour the Raleigh area. The burgeoning craft beer scene gets better every day with 18 breweries brewing up delicious beers and more breweries slated to open this year. As Greater Raleigh Beer Month (complementing N.C. Beer Month) approaches in Apr., can you say "party every day"? That&apos;s right, whether you plan your trip during the week or on a weekend, you will get to experience the area&apos;s craft beer scene any day of the week. We love our Greater Raleigh breweries so much that we&apos;re getting this celebration started a little early. Returns to downtown Raleigh on Mar. 28, presented by Lonerider Brewing Company. Enjoy an evening of food, live music and, of course, great craft beer. $20 gets you into the event and includes beer. Plenty of Lonerider brews will be on hand, in addition to more than a dozen specialty casks. This limited-ticket event will highlight specialty brews from five N.C. craft breweries. This year, White Street Brewing Company in Wake Forest will host Trophy Brewing Company of Raleigh and three other N.C. breweries. Between sample sessions, you&apos;ll enjoy brewer discussion panels at The Cotton Company on &apos;What&apos;s New in Brew" and "Collaborations." Tickets are $40. Kick off Beer Month with 23 N.C. breweries (14 of those being Greater Raleigh breweries) and special casks, all at Crank Arm Brewing, starting at 3pm. A portion of the proceeds will benefit the Lukemia & Lymphoma Society and the N.C. Brewers Guild. From the popular Beer and Bacon Fest in Cary on Mar. 28 to World Beer Festival Raleigh in downtown Raleigh on Apr. 11, Greater Raleigh celebrates the beer scene with live music and tastings. From the North Carolina ‘Cuegrass Festival on Apr. 18 to Brewgaloo on Apr. 25, you won&apos;t want to miss the Beer Month celebrations. Pair the area&apos;s culinary scene with its award-winning craft beer scene. Maybe your speed is the exclusive Beards & Beers Pop-up Dinner on Apr. 4, being held at a secret (and historic) location. Or do food trucks suit your fancy? If so, then hit the Nicklepoint/Manna Food Truck Beer Dinner on Apr. 6. Have exotic tastes? Zinda&apos;s Taste of Thai with Bombshell Beer Company will excite you. 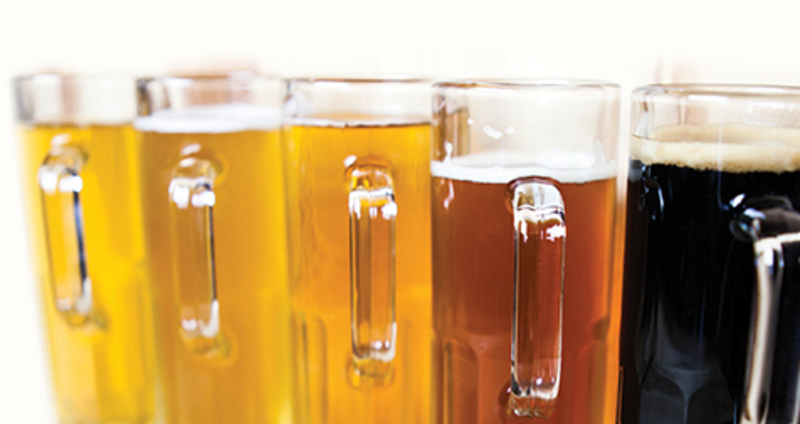 Check out the Beer Month deals to help plan your trip or outing.